Sometimes it’s good to take a moment to realize how lucky we are; obviously if you are reading this post, you are fortunate enough to have a computer or access to one. You are literate and able to read these words, and you have had the privilege of attending school, whether it be a private or public education. You may be a college graduate, or even a proud owner of a higher education degree. Whatever your background, take a moment to understand how truly lucky you are for being able to have these things that so many others do not have. Unfortunately, so many others in undeveloped countries do not have access to an education, yet welcome the building of schools and reading programs with open arms. Luckily, organizations like Passports with Purpose and buildOn exist, making these dreams a reality for many people, but they cannot be successful without our help. Please take a minute to read about this amazing cause YOU can be a part of, which has a tremendous impact on countless lives. What is Passports with Purpose, and why should you get involved? Started in 2008, Passports with Purpose is an annual fundraising event hosted by travel bloggers raising money for amazing causes around the world. Past projects have built water wells in Haiti, libraries in Zambia, a school in Cambodia and housed families in India. 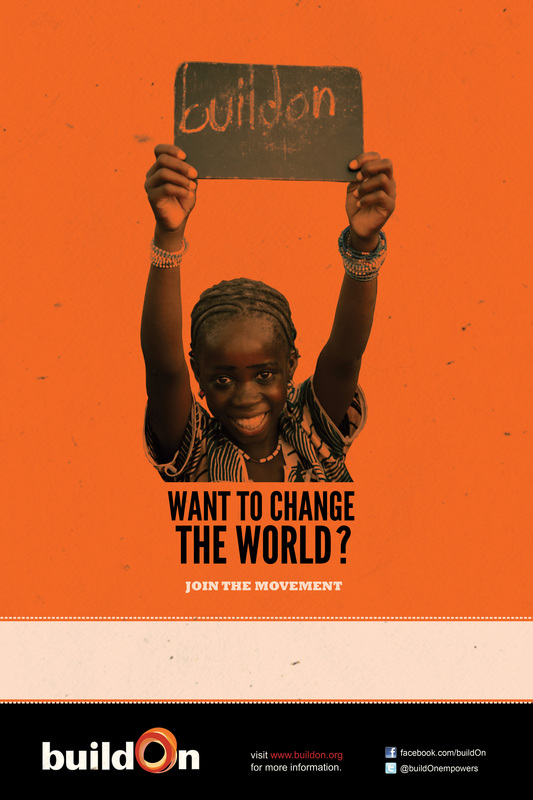 This year, Passports with Purpose is rallying to raise $115,000 for buildOn, an organization who has built schools in some of the poorest regions of the world, such as Haiti, Mali, Nicaragua, Malawi, Nepal and Senegal. This year, with your help, we can come together for the goal of constructing three primary schools and funding three adult literacy programs in the region of Mali, Africa. But, wait!! There’s more! Donate AND get a shot at winning some awesome prizes! If helping those in need isn’t enough of a reason to get involved, check out some of the great prizes being sponsored by bloggers and travel companies just for donating! For every $10 you give, YOU get to choose the prize(s) you want a shot at winning! Gift cards, travel gear and even trips are up for grabs, making getting involved that much better! It truly is a win/win situation for everyone involved, especially those needing education in Mali. Seeing as I never travel without my iPhone loaded with various tunes and movies, I have donated a $100 iTunes gift card to the Passports with Purpose prize catalog to share the music love with one lucky winner. Gift card will be instantly sent via email upon announcing the winner, and all it takes is a $10 online donation to be in the running! The 2013 online fundraising event will run from November 25, 2013 at 11:59pm EST and end on December 9, 2013 at 11:59pm EST. Check out all the other prizes up for grabs here! A huge thanks to all the sponsors who make this very special event happen! Expedia; DK Eyewitness Travel—DK Eyewitness Guides and Rough Guides; TBEX; HomeAway, HostelBookers, Go With Oh, and Eating London.